Air compressors can typically be an afterthought in the attempt to manage plant maintenance and repair costs. Many maintenance managers and reliability engineers forget that their compressor room could be a source of wasted energy and excessive maintenance costs. Understanding the benefits of what can improve the operation of your compressor room can be key in allowing you to demonstrate cost savings to your management. The following will take you through a real-world situation in which a beverage-packing plant investigated the state of their compressor room and was able to lower energy and maintenance costs while meeting increased air demands. To keep up with rising demands, a beverage-packing plant needed to expand its facility with additional process lines, requiring increased compressed air production. While most would welcome a plant expansion project, the plant manager had to coordinate the expansion project with a very limited budget. In a meeting with his direct reports, including his facilities engineer, they began to discuss their six rotary-screw air compressors currently in the plant. The facilities engineer immediately mentioned the existing plant air system would not manage any additional load. Considering the situation, the facilities engineer decided to take a walk down to the compressor room. Since they rarely ran into issues with their compressed air system, it had been awhile since he reviewed the equipment. Immediately upon entering the compressor room, the facilities engineer noticed the room’s high temperature and that the compressors were running at capacity. He examined the maintenance logs and took notes on recent repairs. 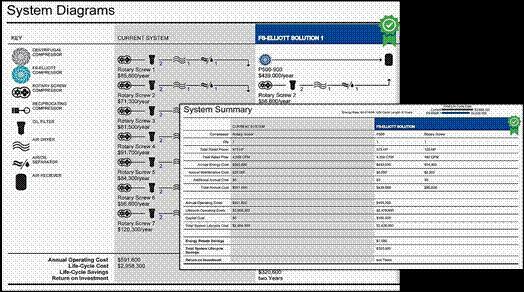 The facilities engineer, in collaboration with design engineers, developed a plan for the existing compressed air system that included adding an additional rotary-screw compressor with supporting piping and accessories. The facilities engineer then met with their current compressed air provider to obtain a quote. The compressed air supplier, being familiar with the facility, recommended a full air audit of the compressor room and facility prior to finalizing their expansion plans. The purpose of the audit was to review the existing energy, maintenance and piping to evaluate any future needs. The facilities engineer agreed to the audit and invited the supplier’s certified Department of Energy auditor along with supporting team members to conduct the audit within the next week. Upon arrival at the facility, the team discussed with the facilities engineer the requirements for the expanded manufacturing process. Understanding the compressed air system through a brief dialogue (see Table 1) was a critical step to providing the best air assessment for the plant. Are there low-pressure areas in the plant? What is the power cost per kWh? How many machines do you normally run? What is the minimum pressure the production equipment can stand? After reviewing the agenda for the day and addressing all initial questions, the team toured the plant and studied the process lines and corresponding compressed air delivery systems. The next step of the audit was to visit the compressor room and review the six existing air compressors for performance, efficiency, energy usage and maintenance costs. Instantly, the audit team became concerned with the high temperature of the compressor room, typically a clear sign of inadequate ventilation. The room’s temperature could easily affect compressor efficiency and maintenance. Before wrapping up the audit, the team reviewed the data with the facilities engineer for accuracy and discussed what would be included in the audit report (see Table 2). What Can a Compressed Air Audit Provide? 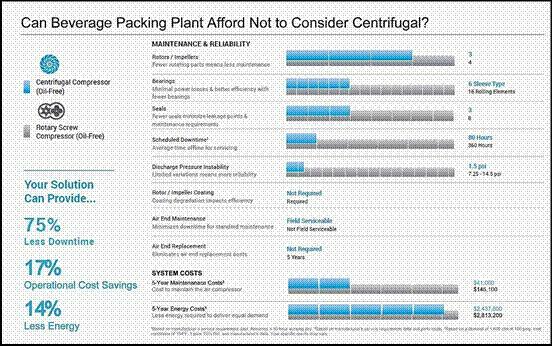 Compare how much energy your air compressors are using vs. factory demands. Uncover leaks in your air piping. Analyze the quality of the air you are producing. Calculate your equipment maintenance costs. Plan for maintaining optimum efficiency. The following week, the audit team returned to the plant with a full report of their findings along with their recommendations to provide the additional air capacity. The auditors were able to calculate demand, maintenance costs and energy usage for each existing compressor as well as the overall efficiency of the system. This program allowed the team to present their investigations and a summary of the recommendations along with supporting evidence. See Figure 1 for a sample of this report. The report explained that the beverage-packing plant had all six compressors running at various times during production and various levels of efficiency. At peak demand, the compressors were running above their recommended operating pressures, which could adversely impact compressor maintenance or, even worse, a catastrophic failure. The report went on to uncover that the maintenance costs for the existing rotary compressors were several times greater than what the facilities manager realized or what the audit team suggested as a typical average. The ventilation issue, evident from the high ambient room temperature in the compressor room, was causing the units to run below their peak efficiencies, resulting in higher energy usage and increased load on bearings and machine gearing. The audit team pointed out that a primary reason for the plant’s recent experiences of loss of air pressure could be due to the heat in the room. The heat would certainly affect the life of the oil, and that would, in turn, ultimately contribute to bearings wearing out quicker than normal. Based on all the key concerns identified during the compressed air audit, the audit team presented their recommendations to the facilities manager. The team confirmed that the expansion needs of the plant would put additional loading demands on the existing compressors. They went on to state that, while an additional rotary-screw air compressor could solve the increased demand, they recommended a different solution. The air audit team suggested replacing all but one of the existing rotary air compressors with one centrifugal air compressor. The elimination of the numerous rotary air compressors would save greatly on the maintenance costs they were currently experiencing. It would also eliminate most of the filters that were required to remove residual oil from the air stream currently used by the plant. Not having to monitor, repair or replace the numerous oil filters, oil and oil/water separation systems commonly used with the oil-flooded machines they had now would also save on maintenance labor and filter replacement costs. The auditors went on to explain there would be additional energy cost savings due to the increased efficiency of replacing the numerous rotary screws with a centrifugal. Finally, eliminating oil from the majority of the process (one oil-flooded rotary would remain) would remove the risk of oil contamination of the finished product and protect the company’s reputation, both critical factors to the growth of their business. Once the team had explained to the facilities engineer the benefits of their recommendations, they were able to share the projected annual cost savings. By removing all but one of the oil-flooded machines and replacing them with one centrifugal compressor, the plant would be able to manage the increased air demand and save a significant amount of money. The cost savings were such that the new compressor would pay for itself in less than two years after installation. Additionally, because the plant would be more energy efficient, it would qualify for a rebate from the local energy provider, which would bring the payback period down to less than one year from installation. The facilities engineer was very enthusiastic about the recommendations and convinced that the recommendation was the direction the plant needed to go with their compressor room efficiency expansion project. The only concern was the budget. At this point, he had little to no budget for the project. How were they going to pay for the new machine? Would the plant manager believe the cost savings? The audit team was already prepared for his concerns and had a complete copy of their report for the facilities engineer to present to the plant manager to justify the purchase. The report (see Figure 2) detailed the performance of the new machine compared to the existing compressed air system, comprised of eight oil-flooded rotary machines. It also provided details on the energy and maintenance savings. 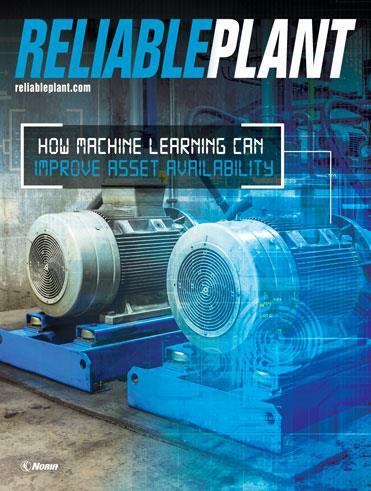 Finally, for the plant manager’s financial team, there was a full explanation of the purchase price of the machine, including the time it would take the facility to realize a return on their investment. The report was what the facilities engineer needed to convince management that this was the best solution for the company. It showed that the facilities engineer was looking out for the company by saving money and labor costs while, at the same time, accomplishing the task of expanding the plant’s compressed air system. He thanked the audit team for all their hard work and immediately requested a meeting with the plant manager. The facilities engineer met with the plant manager and showed him the full report, detailing the proposed plan and the annual cost savings. The plant manager shook the facilities engineer’s hand and congratulated him on accomplishing the task of not only meeting the increased plant air demands but also saving the company money at the same time. Less than one year after the new installation, the savings promised had been realized in both energy and maintenance costs. Additionally, significant improvements in production and automation occurred as a result of using oil-free air. This prompted further expansion and growth for the beverage company, leading to another centrifugal unit purchase at the same plant. 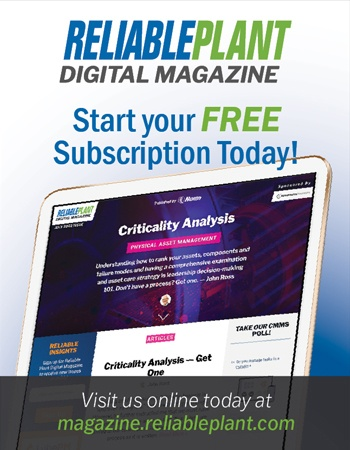 Unfortunately, overlooking compressor rooms during a plant expansion or a cost-savings exercise is a rather common mistake for many industrial plants. Going with the obvious solution is an easy path, but the situation warrants a small investigation into your total compressed air solution before moving forward. Often, a professional air audit team can identify a complete solution to maximize the efficiencies of your compressor room. A good audit team will present the company with a complete detail of recommendations, estimated cost savings and return on any investments. A report such as what this audit team used is standard in the industry and makes a strong business case for justifying to management the upgrades or improvements needed for a more efficient and cost-effective plant.